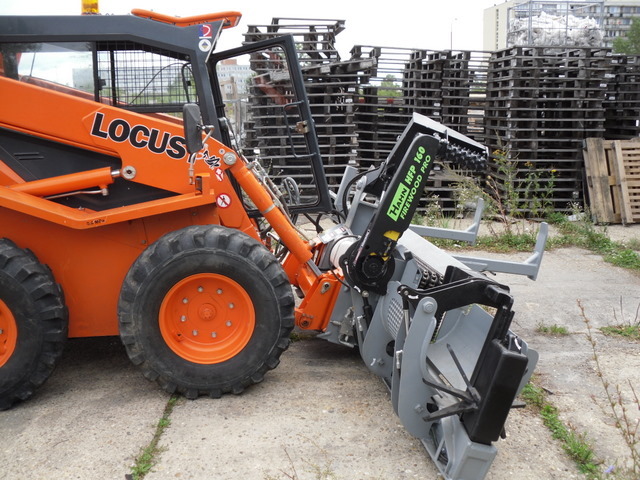 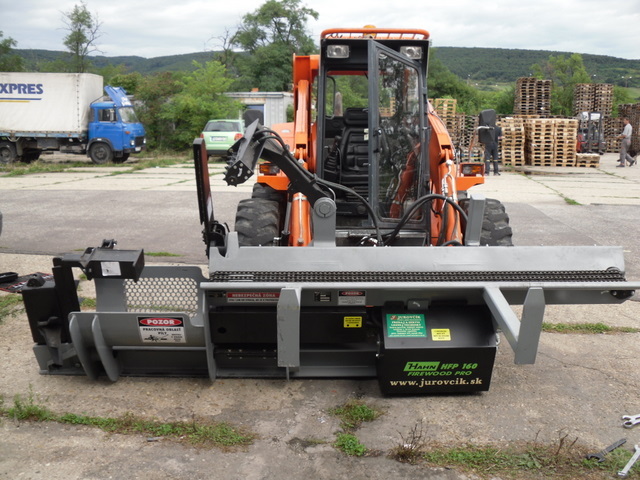 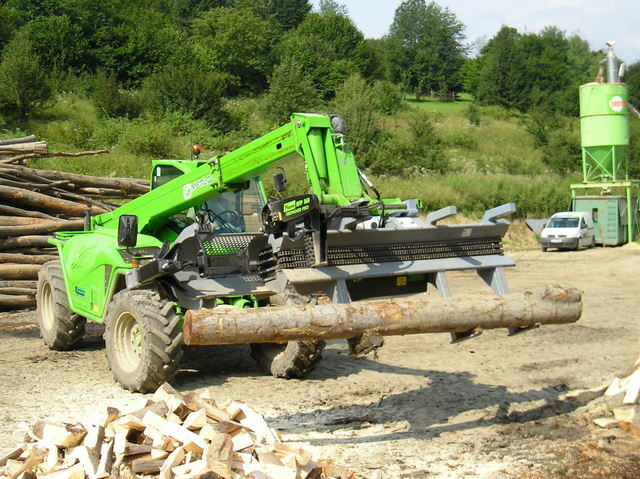 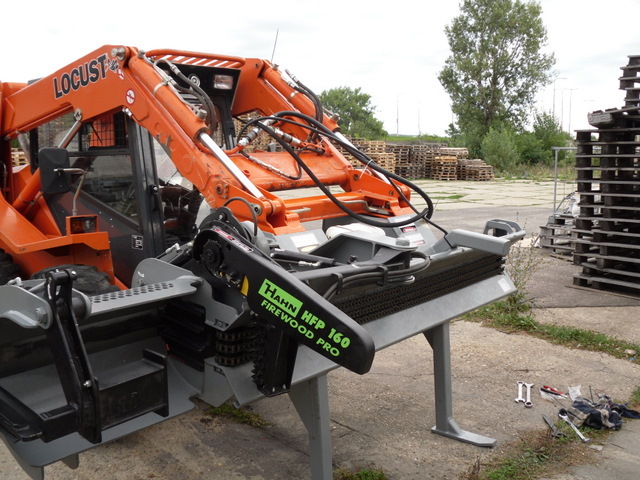 the company JUROVČÍK became in 2009 an exclusive distributor of forestry techniques leading U.S. manufacturer HAHN MACHINERY, within the European Union but also in countries outside Europe. 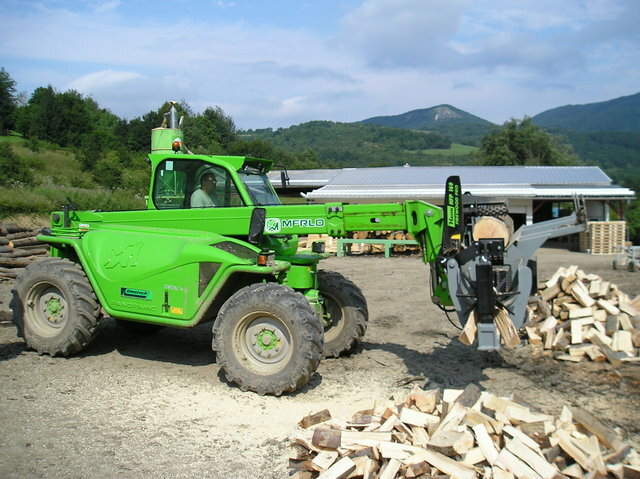 JUROVČÍK company for many years working on forest-wood spheres, not only distributes the productive technique to European markets, but initially it does remains to be tested and used in the operation, which demonstrates their daily quality and performance. 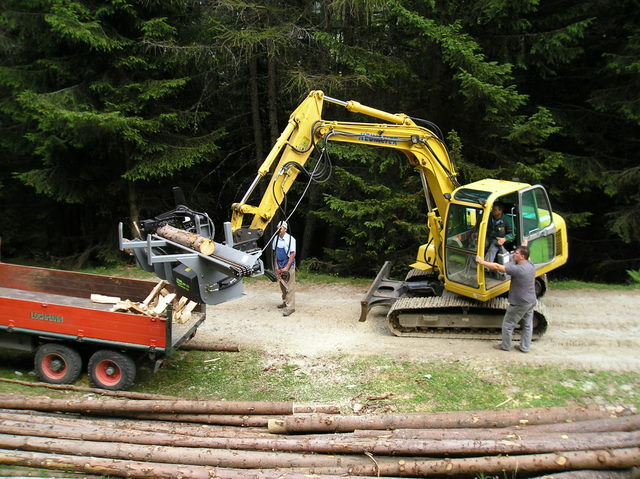 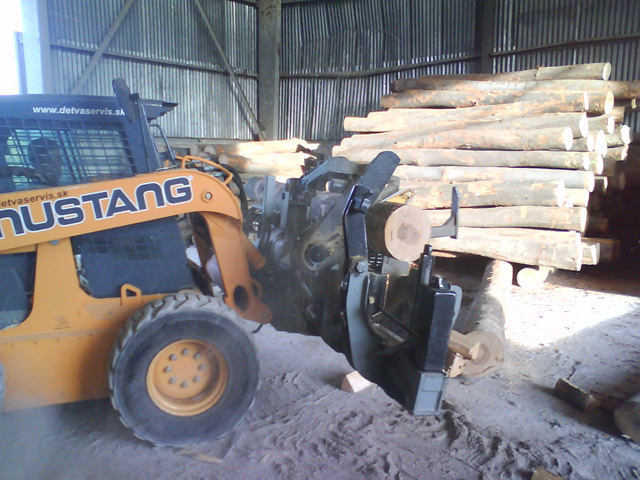 Why move your logs from the log pile to the firewood procesor when you can move the procesor to the woodpile? 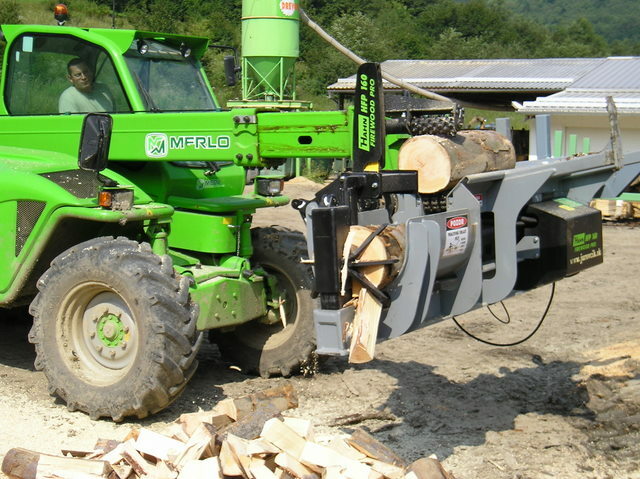 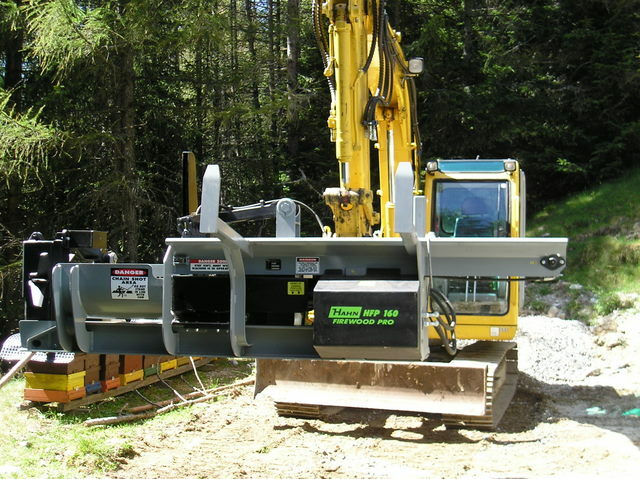 The new HFP160 Firewood Pro is a one man/one machine concept and eliminates the need for multiple machines and people to run your firewood operation. 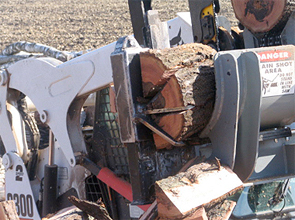 Introducing the first attachment that turns you skid steer loader to the highly efficient and productive firewood processor. 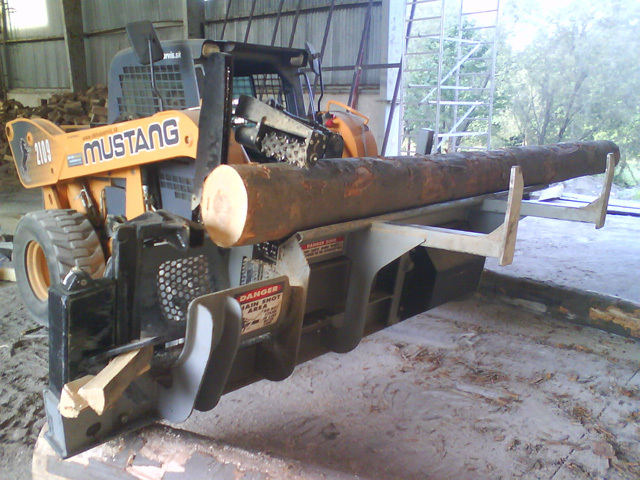 With the HFP160 Firewood Pro, you simply drive to the log pile, pick up an 2 to 5 m stick, and quickly reduce it to cut and split firewood ever leaving the cabin! 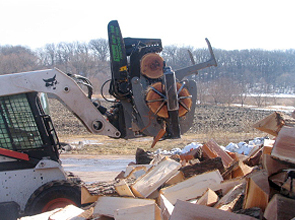 The HFP160 Firewood Pro derives its power from the skid steer’s auxiliary hydraulics and adds another dimension to the versatility of your skid steer loader. 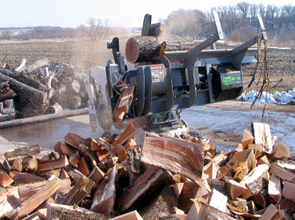 Manufactured with industrial grade components, the HFP160 Firewood Pro is intended for commercial firewood operations and is full-featured capable of delivering excellent production, long life, and economical operation.